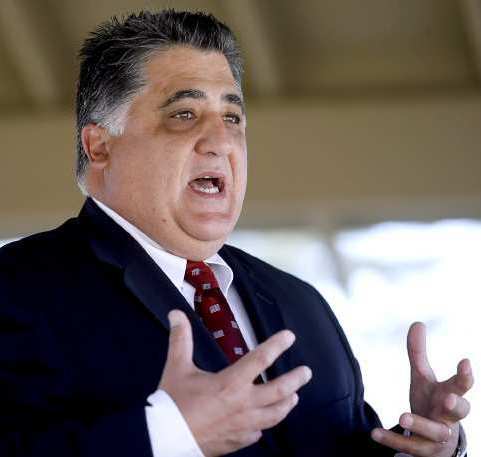 California Assemblyman Anthony Portantino (D. – La Cañada) must be really feel emboldened since the passage of his AB 144 last year because he is at again with a new bill that would expand on it. Open Carry is under attack again with Assembly Bill 1527 which will make it illegal to openly carry long guns in addition handguns as is now because of AB144, and in general, make more changes to California Open Carry Law. After the passage of AB 144 last year, the South Bay Open Carry organization, which has now morphed into the Responsible Citizens of California, staged a long gun protest to point out the absurdity of the ban on open carry of hand guns. They met at two locations in California – in Northern and Southern California simultaneously, all carrying rifles to point the fact that carrying long guns is the only way of legal open carry remaining. But this sort of ‘in your face’ tactic is what got Portantino fired up in the first place after the South Bay Open Carry group kept holding monthly meetings at restaurants in his district. 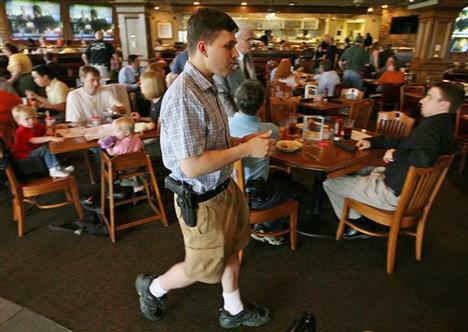 They would purposely hold their meetings at different restaurants in Portantino’s district to demonstrate their deference to his stated opposition to open carry and intent to pass a law banning it. I, on the other hand, have never believed that it is a good idea to poke a sleeping bear that could turn around and attack you. That is just what Portantino did by authoring AB 144 and successfully getting it passed and now again with AB 1527 this year. Now in response to their ‘long gun protest’ he is at it again with AB 1527 wherein he wants to make it illegal to open carry long guns in addition to handguns. Of course, both of these bills are illegal themselves as they are blatant infringements of the Second Amendment. Ultimately they will be overturned in court to satisfy the Second Amendment or at least be the instrument by which we get a more permissive concealed carry law and become a “shall issue” state. Either way we will prevail in the end. Liberal gun grabbers in the California legislature will eventually get the message. Their free run with 2-1 odds in California will end. Of course, your help is always necessary to let your legislators how wrong this is. Please call and/or write them to express your opposition.